We named this crow "Bob". He took lots of time trying to find his way into things. 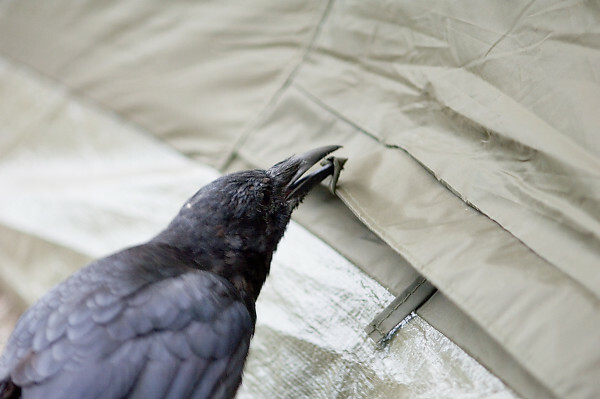 When he did find food, he came by our camp site and hid his prize under a ground sheet.